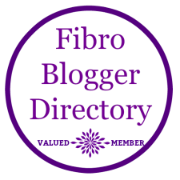 Let’s face it, dealing with a chronic condition such as fibromyalgia or chronic pain can easily lead to depression and mood swings, as well as feelings of isolation and helplessness. These feelings can increase as the pain or flare lingers on and you are able to accomplish less. I know. I have been there. So for International Day of Happiness I wanted to take a moment to share some happiness, spread a little joy, and give you three quick tips to experience more happiness in your day. While the saying goes, “Treat others how you want to be treated,” perhaps we need to remember to treat ourselves that way too! Oftentimes we are so busy taking care of others we forget to take care of ourselves. Self-care and self-love are critical for people trying to cope with chronic conditions. Try starting your day by writing down three things you are thankful for that day. Establishing that habit can really do a lot to foster a positive attitude and set the tone for your day. You can start with something easy like “I am thankful I woke up” or “I am thankful for this cup of coffee.” Count every blessing, especially a good cup of joe! Do more of the things that make you happy: stop and smell the roses; watch the sunset; snuggle with your dog/spouse/child. Just enjoy the little things in life. You might find a greater sense of peace if you do. Life is not unicorns and rainbows every day. And like gratitude, happiness is a habit which sometimes it takes practice. I find joy in everyday life: taking pictures, walking the dogs, cooking a good meal, gardening, or discovering a new place we’ve never been before. I believe you should love what you do, smile as much as you can, learn something new every day, and fail forward. I believe attitudes matter, and a positive attitude matters positively. I believe eating dessert first is OK and life is too short to drink bad coffee. But enough about me. I hope you have a wonderfully joyous day!